Announcement of the search committee's first organizational meeting. 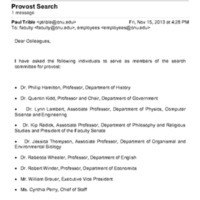 The search is for provost. 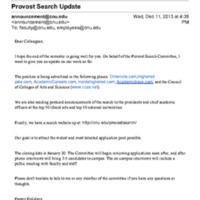 Update on the progress of the search committee. An email explaining where the position has been advertised and other details. 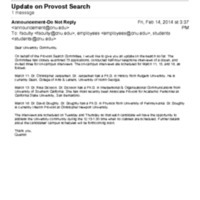 An update on the search committee's progress as well as scheduled interviews is provided. 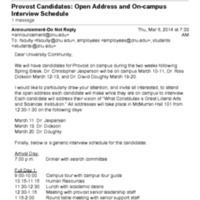 An email providing a generic interview schedule for candidates for the Provost position.